Good morning, everyone, and welcome to this Press Conference on behalf of the International Monetary Fund. I am Gerry Rice of the International Monetary Fund. I am very pleased this morning to introduce the Managing Director of the IMF, Madame Christine Lagarde. Of course, to Madame Lagarde’s right is our First Deputy Managing Director, David Lipton. I think you have all received this morning the Managing Director’s Global Policy Agenda. I would ask that when we get to the questions, which will be shortly after Madame Lagarde’s remarks, that you would keep the questions short. We will try and take as many as we can. Please identify yourselves. Ms. Lagarde - Thank you very much, Gerry, and thank you to all of you, photographs included. I would like to start this Press Conference by recognizing and thanking First Deputy Managing Director David Lipton for having accepted to serve another term. I am delighted that will you have to face the two of us for a little longer. I do not know how many of you have walked this morning, but we are blessed by good weather. Yes, there is some sunshine in the global economy. We have global growth and we are not in crisis. There are some signs that sentiment is improving and a number of countries are growing at reasonably robust rates, but there are quite a few corners of the world which are downright chilly, in part because the recovery remains too slow and too fragile. We expect global growth this year to be at 3.2 percent and 3.5 percent next year. This makes it harder to spread economic warmth to the citizens of the globe. It is not enough to lift living standards, reduce debt, and create sufficient opportunities for the nearly 200 million people around the world who are officially unemployed and looking for a job. There is a risk that middle-class families and the poor actually remain behind, which would embolden the voices of protectionism and fragmentation. Many of you have received and some of you may have read our three flagship reports. They have sent a clear and unmistakable message: Downside risks are increasing. There are crisis legacies and weak balance sheets in many advanced countries. Emerging and developing countries need to watch declining commodity prices, high corporate debt, and volatile capital flows. Increasingly, our concern is also about the risk of spillovers which has become a truly global phenomenon from advanced economies to the rest of the world, from emerging market economies to the rest of the world as well. The GFSR, the Global Financial Stability Report, that you received yesterday, clearly demonstrates that. So, there is plenty to worry about, but as I have said and has been repeated several times, we are on alert, not alarm, because we believe that the global economy can actually repair legacies, can regain its vigor and become more inclusive, but the current policy responses that we are seeing need to be faster and need to go deeper. What do we mean by that? As you have heard, we are confident that the three-pronged approach can actually work and can be mutually-reinforcing. I hope you all have received this document, the Global Policy Agenda,that will be discussed with members of the International Monetary and Financial Committee (IMFC) on Saturday morning. It focuses on this three-pronged approach which consists of, first, structural reforms. All right; we have been there; you have said that before. Yes, but those structural reforms on which we are going to spend a bit more time and be more detailed depend on smart designs, good timing and support from other policies, which is why we talk about this three-pronged approach. They come together and they need to be tailored. We have seen reform commitment by the G20. Remember this additional 2.1 percent by 2018? Well, we recommend very strongly that this commitment be accelerated and be actually delivered upon in 2016. Second prong. We recommend more growth-friendly fiscal policies for all countries, including increased infrastructure investment. Of course, there are some countries with high and increasing debt that need to pursue further fiscal consolidation, but others have fiscal space and most of them can recalibrate in order to make their fiscal policies more growth-friendly. Third prong. Monetary policy still needs to support demand. Accommodative monetary policies have played a crucial role in the recovery, and negative interest rates—much commented upon—do play, on balance, a positive role and they help. But monetary policy can no longer do the heavy lifting alone. Structural and fiscal policies need to play a greater role. The three-pronged approach means going beyond the status quo, moving faster. It might also mean crossing some political red lines for some. Is it worth doing it? Well, we contend that with the right policy mix and that three-pronged approach, it can add a powerful global package that would help generate faster and more sustainable growth. Final point. We also contend that cooperation is absolutely key. We have advocated cooperation. There is a certain degree of cooperation, but I would like to mention three examples where we believe that cooperation should be stronger. First example. The action to help refugees. Every second, nearly 30 people are displaced somewhere in the world. That requires a bigger, broader and bolder approach, and one that is certainly based on cooperation among the nations. It cannot be the affair of one country. Second example. We need a strong international safety net, one that is, in terms of size, in terms of access, in terms of responsiveness, is going to be efficient, particularly in relation to the emerging countries and the developing countries. The final example, which is familiar to many of you, is we need much stronger international tax cooperation. A lot of things have gone global and it is unlikely to recede, but there is one thing which has not gone very global and that is taxation, which is still very much a local affair associated with national sovereignty. We contend that there has to be a lot more work and a lot more cooperation on a much broader basis in international taxation. So, we do not have much power to change the weather—I am delighted that we are all meeting together in Washington with this pretty nice weather—and we cannot change anything about it, but there is certainly something that collectively policymakers, their advisors, and international institutions can do about changing the economic weather, and we hope that this will not only be discussed this week but also implemented later on. Mr. Rice - Okay. Let us turn to your questions. Again, I would ask that you identify yourselves by name and keep the questions short. Question - I have two short questions. Managing Director Lagarde, in your opening remarks you mentioned the emboldened voices of protectionism, and in the recent WEO you all mentioned Brexit as one of the chief risks to your global output. Broadly speaking, I am interested in how worried you might be that public and political support for free trade and open borders not just in Europe but also here in the US and across the world is beginning to wane and what that might mean for the global economy ten years from now. I am also interested, domestically speaking, about the Federal Reserve. The IMF had last year urged the Fed not to start its process of normalization until 2016. The Fed went anyway. I am wondering if you think the Fed made a mistake in December and if you think it should continue rate hikes. Ms. Lagarde - You are really asking three questions in one, right? So, on Brexit, we have clearly elevated Brexit as one of the serious downside risks on the horizon of global growth. We believe that the risk of exit of the United Kingdom is a serious concern that, if anything, is causing uncertainty, as is indicated actually in the growth forecast for the UK. If that were to happen, the uncertainty would not disappear, because clearly the continued relationship with other countries in the European Union would be at risk and certainly debated for a period of time. It has been a long marriage between members of the European Union, and it is really my personal hope that it does not break. Like all marriages, good talks can actually help and I hope that the dialogue can continue. As far as we are concerned, we are, as you know, doing an Article IV review of the United Kingdom, which should be completed in the course of May. We will certainly include in that Article IV a special chapter associated with the quantification of the risk of Brexit, because it is clearly on the minds of many. In terms of trade, we in the IMF believe that trade has played an essential role for development, to lift people out of poverty in many corners of the world. It has improved the supply chains in many regions and has contributed to development in significant ways. We are concerned that the numbers we see now indicate slower international trade than we have global growth, which itself is not as solid as we would like it. So, development of trade, support for trade, eradication of non-tariff barriers remain key priorities. We certainly hope that the international community and the policymakers around the world will take that to heart and will continue to support trade on an ongoing basis. Your third point about the Fed. We were at the IMF very pleased to see that, No. 1, the sort of three-pronged approach of the Fed—data dependent, gradual, and well-communicated—is very high on the agenda of the Fed. We were also quite pleased to see that the impact of the international status of the economy and the downside risks on the horizon are actually taken into consideration when the Fed looks at its domestic economy and determines when and by how much to deal with interest rates. Question - My question is about China. What do you hope to achieve in your next term starting this year? How do you foresee China to fit in that Five-Year Plan? Early this year, at Davos, you said you were concerned about the communication with China’s financial management team. How are things now in that regard? Ms. Lagarde - Well, first of all, on the communication side, we have been delighted to see the communication efforts undertaken by policymakers, particularly Governor Zhou. As you know, the PBOC is our normal contact point and Governor Zhou is a Governor the IMF. Clearly, his major interview back in the fall—it was not with your channel but it was with another Chinese media—has been extremely helpful, and subsequent communication has helped as well. I think when it comes, in particular, to the exchange rate regime, it does clarify the situation for the better, because nobody likes uncertainties, markets in particular. In the next five years, I would hope that all currently underrepresented economies whose share in the IMF does not mirror their contribution and their participation in the global economy as we measure it by IMF criteria, that all these countries will be better represented and that we will be a better mirror of the global economy with their respective contributions. So, that does not apply exclusively to China. There are other countries as well. I think the legitimacy of the institution and its capacity to commit and its credibility with members is in part, not exclusively but is in part, dependent on it actually mirroring the global economy. I was very pleased to see the 14th Quota Review finally completed. I think it is a good step, but it is not the last step. There will have to be more work. There is the 15th Quota Review that needs to be discussed, for which we have a deadline in December 2017. This will be an ongoing process, because it is the strength of this institution not to be riveted to a situation which is static but which has to constantly review its resources, make sure that it is quota-based so that they are strong and sustainable, and, again, that it mirrors the state of the economy. But I am convinced that, in that context, China will play an important role, because it wants to be a player in the institution and it wants to cooperate in the international domain, playing by the rules, belonging to the club. Question - You just talked about the marriage between Britain and the EU, and you hoped it would not break. If we do have a break, you might well be the marriage counselor. What advice would you give to your Continental European governments who might come to you for advice on how they should negotiate with a Britain that wants to keep all the good things badly but not have free movement and not pay into it? Ms. Lagarde - Whatever happens, and you know this is no mystery and I have seen it repeated in the British press, I lean toward “Let us stay together, work it out,” because it is better than to sort of walk away from obligations and from the necessity to have a dialogue and to consider the issues collectively. But whatever happens, I think that all parties should rise above the domestic circle and should have a broader view of what lies ahead in terms of a collective endeavor, because after what it has gone through over the last century and what the risks are on the horizon, keeping Europe together is actually a huge asset, which is vastly underrated, in my view. Question - I have a question on the Panama Papers. The international community has many times pledged to take action against financial secrecy, but every time a new scandal breaks out we find that there are new loopholes that have emerged. Are you concerned that this could fuel popular anger and reinforce the perception that the Elite can always find a way to avoid paying their fair share? Ms. Lagarde - I think it is obviously a risk when the rules appear to be skewed toward some and do not apply to all. Now, I am not necessarily passing judgment on the legality or illegality of one scheme or another, but clearly what has resulted from the review of these Panama Papers indicates that, however important BEPS is, the Base Erosion and Profit Shifting commitment, and the automatic exchange of information, it is unfinished business. Everybody has to move beyond BEPS to see that there is actual implementation and that the net is inclusive and does not have little loopholes here and there. As I said earlier, taxation is regarded as a local matter, associated with sovereignty, but international cooperation has to really be significantly improved. We will be happy to play our part. We have a membership of 189 countries now and all countries have to be included in that effort. As you know, a lot of our technical assistance is dedicated to helping countries put in place anti-money laundering and counterterrorism financing. Well, more needs to be done on that front. When we issue a report, which is flabbergasting, indicating that work needs to be done by the country, well, there has to be follow-up. That is what I think policymakers need to focus on: implementation. Question - My question is in French. [THROUGH INTERPRETER] Madame Lagarde, you said yesterday that Tunisia is a success story compared to other Arab Spring countries. What do you propose to help this country deal with its geopolitical issues and social issues and also to promote growth? The government is counting quite a lot on the new agreement with the IMF. So, what can you say about negotiations with Tunisia? Ms. Lagarde - I am going to respond in French to your question. [THROUGH INTERPRETER] We will stand with Tunisia to help Tunisia deal with its difficulties, difficulties related to its security, the development of growth, and the increased unemployment. We had a program with Tunisia that was quite effective, and the program that is being negotiated is very close to being finalized. I hope that by the end of the week the program will have been finalized at the staff level. Of course, the draft has to be submitted to the Board to become final. But it is clear that Tunisia is dealing very courageously with a situation that is very difficult, from a security point of view. We remember the attack on the Museum. Also, Tunisia is dealing with refugee flows from Libya, which requires support from the international community. So, I am very hopeful that we will be able to finalize a program by the end of this week. Question - Africa today, as we know, faces tough challenges, especially with the decline in commodity prices. I just want to know how huge is this problem in terms of growth, financial positions of government, especially for Nigeria, which now faces huge challenges of a weak local currency, low government incomes, and, of course, higher inflation numbers seen recently. What are your policy recommendations for our authorities? Ms. Lagarde - Well, of course, the low price of commodities in general, but of oil in particular, as far as Nigeria is concerned, is a critical issue. If I recall, I think it is 80 percent of your exports and 60 percent of your revenue, is actually oil-dependent. So, when there is a massive decline in the price of oil, those two also take a similar hit. So, it has a major impact on the country. Our recommendation is that Nigeria seeks help from the international institutions that can best help, first. Second is that Nigeria is open-minded about using flexibility of the exchange rate in order to absorb some of the shock. We believe that is more efficient than to have a list of the products that are barred from being imported in the country. Third, we believe that it is really important that the budget be completed, decided, and approved. We stand ready to help Nigeria if it wants to seek our help. Having visited Nigeria in January, I believe that it is also really important that the country looks at diversifying its economy, because it cannot rely exclusively on commodity prices only, particularly oil, because it might very well stay low for longer. Nigeria is full of energy, smart people, and can really transform some of its activities, including in the agricultural sector, where there is just too much by way of imports when there could be a lot of transformation in Nigeria and local consumption. Question - You said recently, referring to Greece, that you view it as your duty not to be complacent and to assess the reality of numbers, but Madame Lagarde, some of those numbers are supported by the European creditors. So, are the Europeans complacent when they try to avoid or to delay debt relief? Ms. Lagarde - I think the last thing that Greece needs at this point in time is delay, and there is one point on which I completely agree with the Greek authorities, which is that we need and they need to move fast. Equally, I think we have always been very consistent in saying that the objectives are stability, sustainability, sovereignty of Greece ultimately. To reach those objectives, there has to be real and realistic numbers and sustainable measures. That applies to the hypothesis; it applies to the nature of the measures; and it applies to the maturity and the cost of debt for the country. So, I have been saying off and on that the program of Greece has to walk on two legs. That position remains true. I would add that all of that has to be realistic and sustainable, and we are certainly doing the best we can under sometimes laborious circumstances. Question - Madame Lagarde, congratulations on another session; congratulations on your recent reelection; and congratulations to Mr. Lipton for staying on. My question is the same as last year’s. You are speaking in parallel with President Putin. He had a major news event today and he claims that the Russian economy is still not corrected fully, but the trend is good, positive, he says. Do you agree? Ms. Lagarde - Well, as far as Russia is concerned, you can look very carefully at the World Economic Outlook and the forecast we have for Russia. While clearly the trend is directionally up, it does mean to say that the results are outstanding. But there is improvement, it is true. For a country that is vastly dependent on natural resources, extraction of those resources, it means that there has been a lot of burden shouldered by the Russian population in order for those results to be directionally correct. Question - In Brazil we have a deep recession, high inflation, high debt and high deficit, and a political crisis. How do you view its economic and political situation? What should Brazil do to return to more normal rates of growth? Ms. Lagarde - It is true that despite its legendary reputation of being generally sunny, warm, and I am sure will be hospitable for the Olympic Games later on this year, there are very, very chilly winds blowing on the country. With a negative 3.8 percent forecast, the economic situation is very concerning in terms of unemployment, in terms of inflation, and clearly in terms of output and potential output. As you know, we do not opine on political situations and internal debates of that nature, but through whichever way uncertainty will be removed, Brazilian macroeconomic policy will be set on stable grounds, with the likelihood of no variation of the fiscal objectives, for instance, and with an economic environment that is business-friendly and conducive to the creation of growth in your beautiful country. Question - Just a question. How is the [stance] of IMF reform in this moment, how it was implemented after they accepted the United States quota increase? Second, how can a country like Mexico, who has an open account and even floating rate, contend with all this kind of currency wars, especially when the peso was looked at as a hedge and it caused more or less a  present devaluation of the peso? Is it a good thing, even if they [devaluate] your economy? Ms. Lagarde - First of all, on the reform, as I said, the 14th Quota Review has now been completed. The quota resources of the institution are stronger and more sustainable. We currently have a very strong capacity to commit in case countries come to ask for financial support, which is, incidentally, clearly happening at the moment. We are walking into the 15th Review, as is called for under the Articles, and we will be holding discussions within the Board in the next few months. We have a completion date which is set at the end of 2017, and we hope to complete that review. It will indeed consist of assessing the right size of the Fund and looking at the quota formula as well as we should. Mexico, we believe, has a fairly robust overall monetary as well as fiscal policy. If you look at the forecast, it has remained pretty stable compared with previous forecasts. It is one of those countries which is holding. In addition to the open account and floating exchange rate, which has been used as a shock absorber, do not forget that Mexico also has with the IMF a Flexible Credit Line, not an insignificant amount, which Mexico was smart enough to use as a sort of insurance in order to maintain macroeconomic policy that actually stands and passes the test of the Flexible Credit Line. It is really one of the good examples of how to use a precautionary instrument in a smart domestic way in order to maintain the objectives of its macroeconomic policy, added to which it has undertaken, as you know, some significant structural reforms earlier. Question - I have two questions, if possible. One is regarding how much room remains for monetary policies and, in particular, about the negative interest rates. You said that they are positive, because, in a way, even if there is a cost, they help the economies. But others, like Larry Fink of BlackRock, say that this mechanism does not help economies because it feeds consumer spending because people are forced to save more in order to get the same amount of money after retirement. If I may ask about Europe and my country. How worried are you about the crisis of the nonperforming loans that is particularly relevant in Italy, and if you have an opinion regarding the Atlantis, fund that is organized by Italian government [to help Italian banks]? Ms. Lagarde - Well, on the first point of the net positive of the negative interest rates, this is clearly an issue that we have looked at carefully, because it is a reasonably new device that is being used by the central bank. It is uncharted territory and we had to ask ourselves the question of its validity, efficiency, side effects. The conclusion is clearly that, on balance, it is a net positive. We strongly support the decisions that have been made, notably by the ECB in relation to the Eurozone. Inflation is still very low. There is an output gap. So, we believe that this innovative monetary policy is legitimate. But we are also looking at the side effects, one of which was identified by Larry Fink. Everybody stands where they sit. Clearly, the financial community, particularly the banks, looks at how it impacts their bottom line, how it impacts their margin, how they are going to transfer some of that negative interest impact to potentially the depositors and raising the concern for savers, participants of that particular questioning. But people are not just savers. They are savers, consumers, employees. You really have to look at the counterfactual of not doing this monetary policy and the impact it would have on the economy. Would there not be less growth, less credit, less employment down the road? If the answer to that is yes, then it is worth having that negative interest rate, certainly not forever, and that is the reason why we are calling for the three-pronged approach, because monetary alone cannot carry the burden by itself and it has to be supplemented by the other two, structural reforms and growth-friendly fiscal policy, and the use of fiscal space where there is fiscal space, and we believe that there are countries that have fiscal space. Now, on the nonperforming loans, it is one of the crisis legacies that has not been sorted out, if you will, by certain countries, not only in the Eurozone and not in all Eurozone countries, by the way, but in Italy, I think the authorities recognize that it is an issue that needs to be addressed. The most recent scheme devised by the Italian authorities is an interesting approach, which we believe, for the moment, is limited in size and amount. If it has been, as I am sure it has been, negotiated with the competition authorities in Europe, then it is certainly an interesting proposal that might have a longer and maybe a bigger life than we think today. Having said that, it is so recent that I would like to just reserve a final judgment on the validity of the scheme, because we have not had time to look into it and under the skin of it. Question - Madame Lagarde, we know that the IMF has concerns that some of China’s inefficient industries get support that is affecting the quality of economic growth in a long run. So, when China will host the G20 Summit this year, how can China use this opportunity to strengthen the quality of economic growth and which Chinese industries do you feel should be withdrawn from the market? I would like to know what is your major evidence to always hold a positive attitude to China’s economy. Ms. Lagarde - It is not just in relation to China but in relation to any issues in life. I think one is better off having a positive rather than a systematically negative attitude. You actually feel better. Chinese growth, as you know, we have reset it to 6.5 percent to take into account the measures that have been announced by the Chinese authorities under the latest Quinquennial Plan. Equally, in the medium term, we are also a little bit more cautious, and we are concerned about the medium-term implementation of what you alluded to, which is, in particular, the state-owned enterprise restructuring. The Chinese authorities, when I was last in China, have actually indicated their determination to start now the restructuring of some of the state-owned enterprises in various sectors of activity, which I am sure you are familiar, whether it is in relation to coal, steel and various others, but predominantly, in the heavy industry sector. We hope that that is the case. Equally, we hope that in order to stimulate the Chinese economy to accompany that process, the Chinese authorities will resort to ways to improve consumption, to move from heavy industry to lighter industry and services, and to free up certain sectors of the economy rather than to use the stimulus of additional credit, which needs to be reined adequately. Question - This is actually following up on the previous question about Chinese reforms. Today the United States had announced that China is going to withdraw some export subsidy programs in order to settle a dispute that has been lingering at the WTO for about a year now. I am just wondering sort of what message that might send about the Chinese leaders’ policy commitments that they have made. Ms. Lagarde - So, you are referring to the removal of those subsidies. If that is the case, it confirms the point that I made earlier, which is that based on our limited experience within the scope of what the IMF is supposed to do, we have with China a serious and solid partner, which has, as far as the IMF is concerned, always wanted to play by the rules and which seems to be determined to follow that course of action. If that happens, it is a clear indication that decisions made in relation to export subsidies are actually implemented. That is good. Question - If you will forgive me, I have been worried more about diaper inflation than disinflation of recent, so these next two questions might be slightly confusing. First, you talked about realism in regards to Greece. Is it disingenuous for Europe to require a 3.5 percent budget deficit and that Greece pay back its debts? Secondly, central bank stimulus, is it not preparing the world for further asset inflation that we have seen? Arguably, you could say that all the extra debt that we seen around the world is evidence of that. If not, should perhaps Japan or others consider direct monetary financing? Ms. Lagarde - On my point about realism and sustainability in relation to Greece, 3.5 percent in the short term might be achievable by some heroic—and I really mean heroic—efforts on the part of Greece and the Greek people. It might be. We are skeptical about it, but we are open to seeing what additional measures the authorities are proposing. What we find highly unrealistic, on the other hand, is the assumption that this primary surplus of 3.5 percent can be maintained over decades. That just will not happen. So, that is where I draw the line between the short-term objectives and the medium- to long-term similar objectives. On monetary stimulus, as I said, it does not apply across the board. If there is anything we learned from 2008 is to be aware of across-the-board recommendations. Clearly, there are instances where monetary support should be continued, No. 1, and should absolutely be accompanied by the other two prongs that have I mentioned, the structural reforms and the fiscal policy that we have described. As far as Japan is concerned, we have fairly robust criteria under which intervention is legitimate and that clearly can happen in a case and only in a case where very disruptive volatility must be avoided. So, we are watching carefully what is happening in the Japanese markets, but that is the instance where intervention is, in our view, legitimate. Mr. Rice - Thank you very much, Madame Lagarde, and thank you very much, everyone. We will see you at the next press conference. Thank you. From global trade agreements to the EU project; from the Bretton Woods institutions to the removal of pervasive capital controls; from ex­panded foreign direct investment to increased flows of peoples across borders, the overall direction has been clear. Driven by domestic economic progress, by technologies such as containerised shipping and the internet that promote integration, and by legislative changes within and between nations, the world has grown smaller and more closely connected. This has proved more successful than could reasonably have been hoped. We have not seen a war between leading powers. Global living standards have risen faster than at any point in history. And material progress has coincided with even more rapid progress in combating hunger, empowering women, promoting literacy and extending life. A world that will have more smartphones than adults within a few years is a world in which more is possible for more people than ever before. Yet a revolt against global integration is under way in the west. The four leading candidates for president of the US — Hillary Clinton, Bernie Sanders, Donald Trump and Ted Cruz — all oppose the principal free-trade initiative of this period: the Trans-Pacific Partnership. Proposals by Mr Trump, the Republican frontrunner, to wall off Mexico, abrogate trade agreements and persecute Muslims are far more popular than he is. The movement for a British exit from the EU commands substantial support. Under pressure from an influx of refugees, Europe’s commitment to open borders appears to be crumbling. In large part because of political constraints, the growth of the international financial institutions has not kept pace with the growth of the global economy. Certainly a substantial part of what is behind the resistance is lack of knowledge. No one thanks global trade for the fact that their pay cheque buys twice as much in clothes, toys and other goods as it otherwise would. Those who succeed as exporters tend to credit their own prowess, not international agreements. So there is certainly a case for our leaders and business communities to educate people about the benefits of global integration. But at this late date, with the trends moving the wrong way, it is hard to be optimistic about such efforts. The core of the revolt against global integration, though, is not ignorance. It is a sense, not wholly unwarranted, that it is a project carried out by elites for elites with little consideration for the interests of ordinary people — who see the globalisation agenda as being set by big companies playing off one country against another. They read the revelations in the Panama Papers and conclude that globalisation offers a fortunate few the opportunities to avoid taxes and regulations that are not available to the rest. And they see the disintegration that accompanies global integration, as communities suffer when big employers lose to foreign competitors. What will happen next — and what should happen? Elites can continue pursuing and defending integration, hoping to win sufficient popular support — but, on the evidence of the US presidential campaign and the Brexit debate, this strategy may have run its course. This is likely to result in a hiatus in new global integration and efforts to preserve what is in place while relying on technology and growth in the developing world to drive further integration. The precedents, notably the period between the first and second world wars, are hardly encouraging about unmanaged globalisation succeeding with neither a strong underwriter of the system nor strong global institutions. Much more promising is this idea: the promotion of global integration can become a bottom-up rather than a top-down project. The emphasis can shift from promoting integration to managing its consequences. This would mean a shift from international trade agreements to international harmonisation agreements, where issues such as labour rights and environmental protection would take precedence over issues related to empowering foreign producers. It would also mean devoting as much political capital to the trillions that escape tax or evade regulation through cross-border capital flows as we now devote to trade agreements. And it would mean an emphasis on the challenges of middle-class parents everywhere who doubt, but still hope desperately, that their kids can have better lives than they did. CAMBRIDGE – Britain joined what became the European Union in 1973. This year, on June 23, it will hold a referendum on whether to leave. Should it? Current polls show a closely divided electorate. Prime Minister David Cameron claims that the concessions he has won from Britain’s EU partners should lay to rest popular concerns about a loss of sovereignty to Brussels and an influx of foreign workers from Eastern Europe. But Cameron’s Conservative Party and his own cabinet are deeply divided, while London’s populist mayor, Boris Johnson, has joined the supporters of British exit. The question of the costs and benefits of British membership in the EU divides the British press as well. Many mass-circulation publications support “Brexit,” whereas the financial press supports continued membership. The Economist, for example, points out that some 45% of British exports go to other EU countries, and that the atmosphere for negotiating a post-Brexit trade deal would likely be frosty. Moreover, the EU has made clear to non-members such as Norway and Switzerland that they can have full access to the single market only if they accept most of its rules, including the free movement of people, and contribute to the EU budget. In other words, a Britain outside the Union would gain little in terms of “sovereignty”; on the contrary, it would lose its vote and influence over the terms of its participation in the single market. Meanwhile, rival financial centers such as Paris and Frankfurt would seize the chance to establish rules that would help them win back business from London. Another complication is political: the rise of nationalism in Scotland and the effect of Brexit on the survival of the United Kingdom. In 2014, Scotland voted in its own referendum to remain in the UK; but the nationalists won almost all of Scotland’s seats in the general election eight months later. With Scottish opinion much more pro-European than in England, many believe that Brexit would lead to another referendum on independence. Cameron could be remembered as the prime minister who helped break up the UK (and possibly Europe). In the United States, President Barack Obama’s administration has stated clearly its belief that Britain and Europe are both stronger together. Illusions of a special relationship with the US replacing the influence of Europe are mistaken. But the British people will weigh whether to support Brexit, and an American hand on the scale could be counter-productive. At the same time, in the words of Douglas Alexander, the former Labour shadow foreign secretary, “since the end of World War II, America has been the system operator of international order built on a strong, stable Transatlantic Alliance supported by the twin pillars of NATO and the EU. If Britain leaves the EU, America’s closest ally would be marginalized….and the whole European project at risk of unraveling at precisely the time new economic and security threats confront the West.” It is no wonder that Vladimir Putin’s Kremlin would welcome Brexit and meddles in European countries’ domestic politics to try to weaken the EU. The geopolitical consequences of Brexit might not appear immediately. The EU might even temporarily pull together. But there would be damage to Europe’s sense of mission and its soft power of attraction. Ensuring financial stability and managing immigration would be much more difficult as well. In addition to a revival of Scottish separatism, Britain’s inward turn in recent years could accelerate. And over the longer run, the effects on the global balance of power and the liberal international order – in which Britain has a strong national interest – would be negative. When it acts as an entity, Europe is the largest economy in the world, and its population of nearly 500 million is considerably larger than America’s 325 million. It has the world’s largest market, represents 17% of world trade, and dispenses half of the world’s foreign assistance. It also has 27 universities ranked in the top 100 worldwide, and its creative industries contribute about 7% to its GDP. American per capita income is higher, but in terms of human capital, technology, and exports, Europe is very much an economic peer. In terms of military expenditure, Europe is second only to the US, accounting for 15% of the world total, compared to 12% for China and 5% for Russia. Of course, that number is somewhat misleading, given Europe’s lack of military integration. France and Britain are the two major sources of European expeditionary power. European and US resources are mutually reinforcing. Direct investment in both directions is higher than with Asia, and US-European trade is more balanced than US trade with Asia. At the cultural level, Americans and Europeans share the values of democracy and human rights more with each other than with any other world regions. Faced with a rising China, a declining but risk-inclined Russia, and the prospect of prolonged turmoil in the Middle East, close transatlantic cooperation will be crucial to maintaining a liberal international order over the long term. Recognizing that Brexit, by weakening both Europe and Britain, would make a disorderly international system more likely, should tip the balance in favor of maintaining the status quo. “Freeze” is a word rarely heard in balmy Doha, but it will be the talk of the town this week. That isn’t because a delegation from frigid Moscow plans an unusual appearance at a meeting of oil exporters being held in Qatar’s capital next Sunday. The star of the show, and quite possibly the spoiler, will be from nearby Iran. Several large oil producers have pledged to freeze output at current levels if others do the same. But Iran, recently freed from sanctions, is in the process of ramping up output and in no mood to stop. A funny thing happened when restrictions were lifted on Iran, though: the market sold the rumor and bought the fact, as it were. Oil prices were under pressure at the prospect of Iran’s return but have bounced 50% over the past two months. While such upside-down reactions aren’t unusual in some markets—bond yields acting oddly after Federal Reserve policy changes, for example—there is as much of a fundamental as a psychological basis in this case. The number that everyone in the energy market has penciled in for Iran’s output, absent voluntary restraint, is 4 million barrels a day. That number stems from both the country’s presanctions peak and Iran’s stated ambition. Whether it gets there and how quickly is a matter of disagreement. 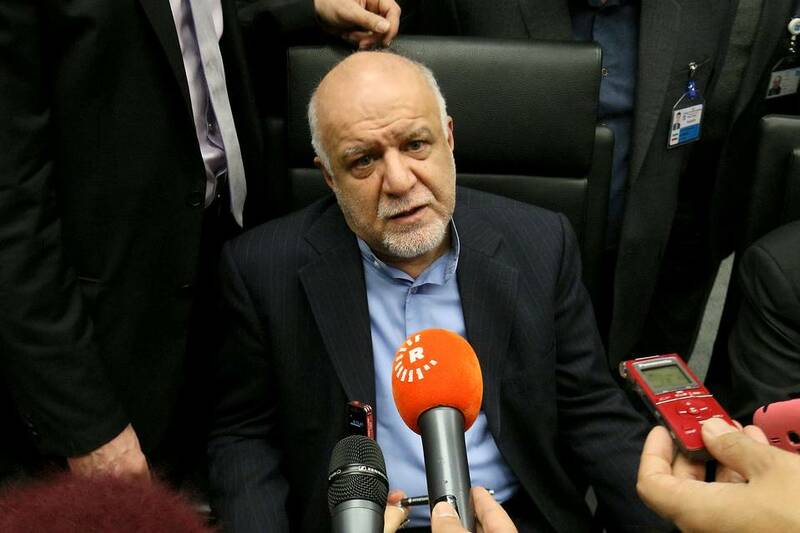 Iran’s oil minister Bijan Zangeneh said that for the one-month period ended April 19, exports would be some 2 million barrels a day. He also predicted that exports will have reached 4 million by next March. The current export figures are an improvement but lower than expected. True, Iran’s fields and infrastructure are sorely in need of investment, and production can’t simply be switched on and off. But analysts thought the country had 30 million to 50 million barrels or more stored in a giant fleet of supertankers in mid-January. Many of those tankers aren’t completely seaworthy, though, or lack proper insurance for voyages to European ports. There also have been reports of Saudi Arabia and Bahrain restricting port access to Iranian vessels. A more significant problem according to Helima Croft, head of commodity strategy at RBC Capital Markets, is residual U.S. sanctions on dollar transactions. That has made Iran’s re-entry onto western markets difficult. The upshot is that Iran’s slow start may have given false comfort to the rebounding oil market. Some analysts think that the amount of Iranian crude stored on supertankers has even increased. 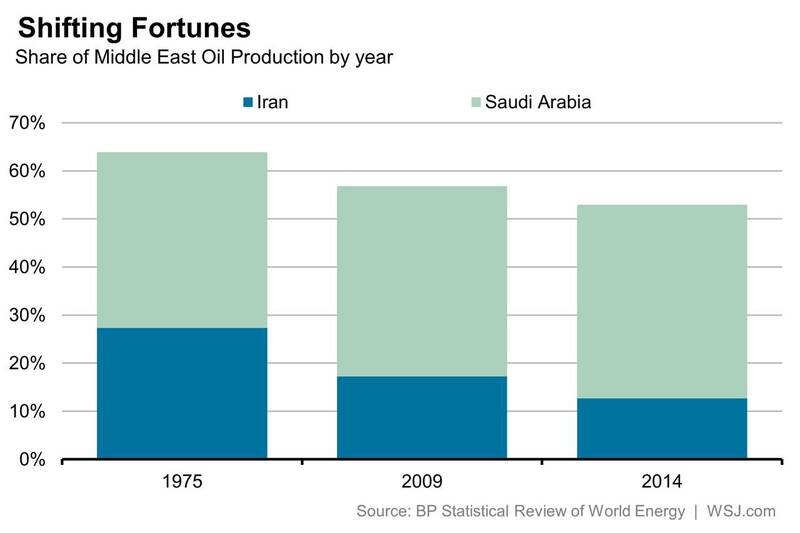 Betting that those barrels won’t show up at a refinery soon or that Iran will willingly cut short its return to the oil market would be naive. The current amount The U.S. Government owes is over $19 trillion and therefore it is mathematically impossible to pay back. They will never be able to pay this back. Central bankers are in uncharted waters. They do not know how to create economic growth and fight deflation in some areas of the market. They do not know how to even return to a time of “normal” monetary policy. Their pretense of knowledge, of being able to effectively control currencies used by billions of people, is coming to an end. The amount of debt only continues to grow and people think that somehow, governments are beyond the laws of mathematics. Things are fine until they are not. This is not an issue that will just go away or disappear, but rather continue to build until it reaches a breaking point. We have close to 10’s of millions of Americans that are flat out not part of the labor force (not including children). The argument that this is only being made up of recent retirees is not true. First, many cannot retire because they need to work until they die. Another point is the rate is going up much faster than the number of people hitting old age. The homeownership rate has fully collapsed. Since the Great Recession hit, a large part of buying came from Wall Street and institutional investors. They bought homes to convert into rentals since this was how they used their bailout savior money. The money kept them afloat and what do they do? Buy up homes in a tight market and drive prices higher when working Americans already have declining incomes. The net result is that fewer people/families own their property and owning your home has always been traditionally viewed as the American dream. This has been the one vehicle where most Americans build wealth and equity and it’s not happening at nearly the same rate as it one was. The problem is that people do not have $20,000 or $30,000 to make a down payment. I see a smaller number of Americans making their home the ultimate financial goal which is a good thing. It forces saving via having equity in their home. Let’s face it, you don’t hear all the retired and wealthy people saying they made their big money in a retirement account. In almost every case they earned their wealth through real estate investments in their own home and/or rental properties over time. There are currently signs of another new housing bubble emerging. The current home price data shows that across the country we have now surpassed the last bubble peak. Incomes are not keeping up with wild movements in home prices. The end result is that the work force incomes are decreasing so creative financing is necessary to buy more expensive homes. Homes homeownership rate has collapsed because of the higher priced housing market. How can prices go up with fewer families buying homes? Easy, since the bailout funds allowed banks, hedge funds, and investors to pick up foreclosed homes from families and then turned them into rental income properties. Today, we have many more people living in rental apartment and rental homes accumulating no equity and barely scraping by. Yet somehow housing prices soaring, college tuition at crazy levels, all while we have lower incomes. The current model of the American Dream involves no homeownership for the already shrinking middle class. The upper-income, educated, married with children class are still not buying! A strong middle class has been at the core of what has been promoted as the American Dream. How would America look like if the middle class simply vanished? We may not need to wait too long at the current rate since we are quickly siphoning people off the middle class and throwing them into lower Income brackets. The vast majority of Americans do not buy into the propaganda promoted on the mainstream media. Housing prices have now reached an all-time peak. This is worth noting because the last peak was clearly at a point where we were massively overpriced, as seen in the chart below, and the entire world economy came close to experiencing the next Great Depression. There is nothing remotely “normal” about the current housing bubble’s rise and we can anticipate that its deflation could be equally abnormal and abrupt if the financial markets start to implode. In short, real estate continues to provide the best return on investment. I recently purchased a large property, demolished the house, and am in the process of building a multi-family high-end retirement four-plex. I believe my area which is the www.CollingwoodRealEstate.net market will generate the best return on investment (cost of one property paying 4 rental income). With low-interest rate it can make a business venture like this very profitable and is a solid long term strategy. The key with real estate though is to not get over extended with borrowed money. Own properties well within your financing capabilities factoring some worst case scenarios. Eventually, certain areas of the financial system will crumble while others become favorable from stocks, bonds, currencies, to real estate. Each of these provide great opportunities to profit from through various investment vehicles like Exchange Traded Funds. Some years ago, when I suspected there would be a War on Cash at some point, everything in the behaviour of the central banks pointed to the idea - it fit exactly into their own informed, yet unrealistic pattern of logic. I therefore decided that it would be a likely development and would take place at a time when they had tried everything else and had run out of other ideas. As to a date when this might happen ... I had no idea. When several countries had begun to limit the amount of money that a depositor could take out of a bank, I decided that the first shots in the War on Cash had been fired and began to publish my prognostications as to what shape it would take. First, there were the benefits to the bank (the elimination of cash transactions, which would assure that virtually all monetary transactions, large and small, would have to be passed through banks, allowing them to effectively "own" all deposits, charge for every transaction and even refuse transactions.) The governments would also benefit. In approving the banks' monopoly on monetary transactions, they'd benefit primarily through the new ability to tax people by direct debit, ending any remnant of voluntary payment of taxation. This indicated to me that the central banks had decided that they'd already waited too late and had better hurry up the programme to assure that it was in place before a currency crisis could heat up. Since then, someone came up with an excellent name for the phenomenon, "the War on Cash," one that succinctly describes the plan in a nefarious way, as it deserves to be described. Today, anyone who is paying attention is aware of the War on Cash and what it might do to him. As each new salvo by the banks and governments is uncovered, attentive observers are publishing such developments on the internet. However, there's a further facet to the War on Cash that no one (to my knowledge) has yet addressed. So, let's have a look. First off, we know that whenever there's a coming monetary collapse, major banks look forward to employing their political influence to assure that legislation and emergency government measures protect them in such a way as to assure that the upcoming competitors are put out of business. We can expect the same this time around. These smaller banks arise during boom times by creating many small branches - the type seen in strip-malls and shopping villages. Typically, they may have only 1000 or more depositors per bank - just barely enough to create profit, but, as "convenience banks," they can count on a steady business from those who live nearby. Larger banks also tend to create numerous branches during good times, in order to hold down the rising competition; however, they resent the need to create endless less-profitable entities that tie up funds that could otherwise go out as directors' bonuses. Consequently, when a monetary crisis occurs and the government steps in to help out the major banks, many of the competitors are driven under, as they don't receive the same governmental support. At such a time, we see the edifices in the city remain, whilst the little banks in the strip mall disappear. The majors can now be rid of them. During a banking crisis, a country returns to 19 th century banking in terms of available institutions. Want to make a deposit? Make a trip into the city. In keeping with the War on Cash, ATM's will also be eliminated. All transactions will be by plastic card or smart phone. Certainly, as a result of the dangerous position the banks will already be in, we shall witness a steady increase in the charges by banks for the privilege of having the bank control depositors' economic worth. Worse, we shall witness the outright confiscation of deposits (as in Cyprus in 2013) and the control of how much a depositor may debit his account in any given week (as in Greece today). It's at this point that a universal trend will unquestionably take place to get around the banks' control. This, I believe, will manifest itself in two ways: Top Down and Bottom Up. In the Eastern provinces of Mexico, the Campesinos already eschew banks, choosing instead to store their money privately. (Chiapas Province is in a virtual economic war with Western Mexico. They value the Libertad as East Indians value gold.) Those Mexicans who live further to the West regard their Eastern brothers as somewhat lawless and uncivilised at present. However, when the Campesinos prove to be surviving the crisis better than their Western neighbours, the Western provinces will, of necessity, follow their lead. Mexico will be amongst the first countries to return to precious metals as the primary (if not sole) currency, setting the stage for other countries. Countries such as Romania and Mexico will serve as an early-warning system. The solutions they and other "fringe" countries employ will spread quickly to the larger world. In order to keep from being controlled by banks, the average person in the EU, US and other "civilised" jurisdictions will learn quickly that, if other forms of trade (alternate currencies, precious metals, barter, etc.) allow him to feed his children when the banks restrict him, he'll resort to any and all forms of black market dealing that he can find. Following World War I, the victors decided to economically cripple the losers - Germany. The Treaty of Versailles was ruthless in its purpose - to strip Germany of all possibility of future prosperity so that it could never rise again. Of course, what happened was the opposite. Following an economic collapse just five years after the war, the German people, now desperate, chose to follow a new leader who promised that he would "make Germany great again." The more arrogant he became, the more support he received. The oppression of the Treaty failed, as Germans, pushed to the wall, came out fighting. I believe that the War on Cash will end without such an extreme, but, just as the Treaty of Versailles, will be stopped by the people of the world as a result of a monetary stricture that is simply too oppressive to be tolerated. This will by no means be a pleasant historical period to travel through. Many people will have their savings wiped out. Many will literally starve. But the anger that's created in them will reveal the banks as the clear "enemy" in this drama and, those citizens who are presently respectful of the laws of their country, will increasingly defy the enemy. They will resort to an alternate system. This is historically what has always occurred when people have been squeezed to this degree and it will repeat itself this time around. Don’t Blame Panama. Tax Evasion Is a Global Problem. 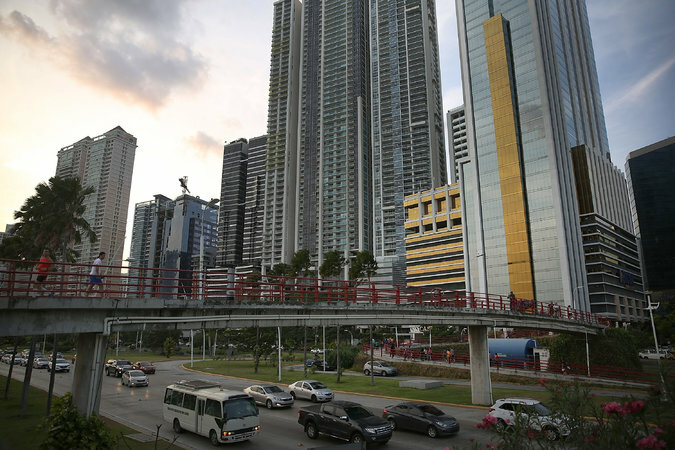 Panama City — DESPITE their name, the Panama Papers are not mainly about Panama. They are not even primarily concerned with Panamanian companies. The more than 11 million documents, illegally hacked and released last week relating to previously undisclosed “offshore” corporations, is roiling the world with revelations of the vulnerability for rampant abuse of legal financial structures by the wealthy. The scope of the information is breathtaking: The files include information on more than 14,000 banks, law firms, corporate incorporators and other middlemen from more than 100 countries, which is just a small part of a worldwide industry that harbors trillions of dollars. That some can rig the system to hide their wealth is not merely unjust; it also harms global development by siphoning off revenues that could be directed to education, health care and infrastructure. Contrary to media reports, Panama does not make special allowances for “offshore” structures. The association of Panama with offshore activities comes from the fact that we tax only income derived from within Panama, not from without, which remains taxable pursuant to the laws of relevant jurisdictions. These rules, based on laws in New York and Delaware, originated in 1927 and are common today. While these laws have been buttressed by additional regulations, they can still be manipulated for illicit purposes. Removal from that list occurred in record time. Still, more work is needed. I have announced that Panama’s Ministry of Foreign Affairs will create an independent committee of international experts to evaluate our policies, determine best practices and propose measures that will be shared with other countries to strengthen global financial and legal transparency. We expect their findings within six months. Panama will continue to cooperate with other jurisdictions to prosecute offenses outlawed in our Criminal Code, and we will continue to exchange financial and legal information to comply with the many treaties we have ratified. We also reiterate our willingness to engage in dialogue with the O.E.C.D. and its Global Forum with respect to reaching financial transparency agreements that can further the economic development of our countries. After decades of dictatorship, Panama is a stable democracy committed to the rule of law and the regional headquarters of more than 100 transnational companies. To fulfill our democratic evolution, we must have a government committed to transparency, accountability and the separation of powers. Our response to the current crisis will test our resolve and our potential. Juan Carlos Varela is the president of Panama. PRINCETON – Throughout the industrialized world, governments are rushing to hand out money to the elderly. Germany’s government has not only reversed an increase in the retirement age intended to make pensions more affordable; it has recently announced a 5% increase in benefits, the largest such rise since 1993 (when, unlike today, Germany was actually experiencing inflation). Poland’s Law and Justice government, in one of its first moves after taking power last year, decreased the pension age and increased payments. The conservative philosopher Edmund Burke famously saw society as a contract not just among “those who are living,” but also with “those who are dead” and “those who are to be born.” Burke was suspicious of popular politics that would favor the current generation over future cohorts. The father of welfare economics, Arthur Pigou, thought that the state would somehow protect the social contract’s absent partners, but that view was hopelessly idealistic. What motive would the government have to be a trustee for unknown people at the expense of real and present voters?